Black Circle Coffee was started in 2013 by Mark Slinger from a love for coffee and the desire to create something special and truly unique for fellow coffee lovers. The company has grown from a bedroom business to a nationally recognised brand which is stocked in high-end retailers across the country. 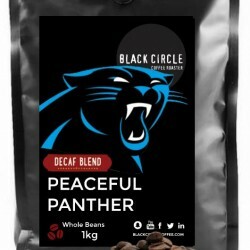 Black Circle Coffee are focused on creating the freshest, most premium coffee you can find - they hand roast and bag up their unique coffee bean blends every Monday.